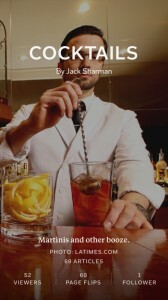 White Collar Wire supports cocktails. As part of that effort, I have a magazine on Flipboard called (helpfully) “Cocktails.” Follow here, read on and use good ice. Are there places I like as much as great bars? Yes: great bookshops. And if I had to pick a favorite in the latter category, it’s Dog Ears Book Barn in the little town of Hoosick, N.Y. Conveniently, it’s just a little ways down Route 7 from the Man of Kent, one of America’s best bars. A couple of hours spent digging through Dog Ears for treasure, then bringing those books to the Man of Kent and perusing them over a few pints for a few more hours? That’s what I call a perfect day. All you need (courtesy of Gear Patrol). On the subject of cocktails, absinthe has made a comeback, as shown in Gear Patrol‘s piece on How to Drink Absinthe Like a Gentleman. Absinthe’s history mirrors the way it’s meant to be prepared: a mix of the misunderstood and the legitimately unusual. For most of its existence, the spirit has been slandered, ostracized and, in rarer cases, revered. It’s been dragged across borders, masqueraded as other liquors, aspersed with hallucination claims and — since its ban was lifted in America in 2007 — the spirit has been secretly embracing it all. “There’s a tradition. There’s a lure to the preparation of absinthe”, says Will Elliot, a bartender at Brooklyn’s Maison Premiere, an oyster and cocktail den with the allure of a New Orleans haunt. Absinthe, at 68 percent alcohol, is a compacted spirit. Once diluted with water, the essential oils and flavors loosen to reveal the drink’s nuances. Preparing an absinthe drink involves combining botanicals, flavors and aromatic elements, Elliot says. 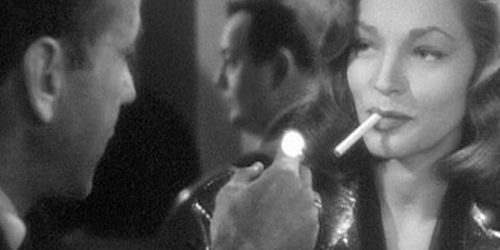 “It’s not the sort of spirit that you just toss back.” As for lighting it on fire, which often is brought up in discussions on how absinthe’s served, “You wouldn’t…that’s really damaging the alcohol”, Elliot says. 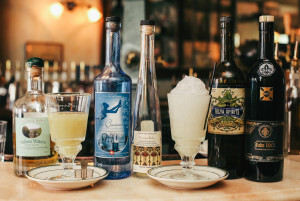 He got behind the bar to debunk some myths and walk us through two traditional absinthe drinks — a drip and a frappe — and a new twist on an old cocktail. Continuing our exploration into the world of gin, we’ve been perusing classic gin-based cocktails this week. 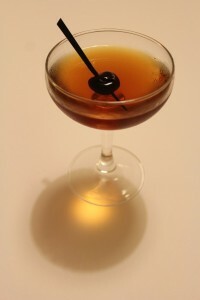 One dating back to the 1880’s is the Martinez; a smooth and refreshing drink, packed full of herbal aromatics. 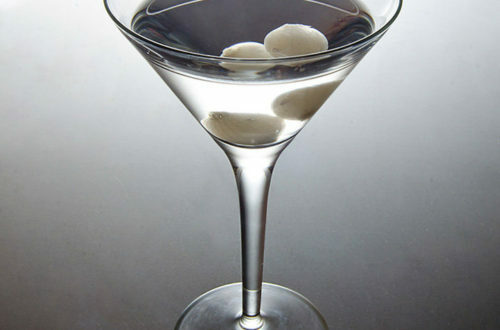 Usually made by mixing gin, vermouth and bitters with either maraschino liqueur or orange curaçao, this drink is a great alternative to the Martini. We love the combination of the gin’s botanicals with the fruitier notes of the vermouth and sweetness of the maraschino. Here we’ve used Burleigh’s London Dry and garnished with a black cherry, soaked in a rich Kirsch syrup, for a touch of added luxury. 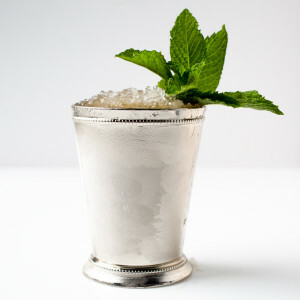 From the Garden & Gun blog, a video recipe for a modern mint julep. “You’re writing about bitters – great beers!” my husband said. But no, with respect to him and Britain’s brewers, I’m going to talk about something far more chic and high fashion. And bitters – those little, apothecary-like bottles of intensely aromatic botanical tinctures – are about as on-trend as you can get right now. This follows on from the premium gin craze, as what could be better than bitters to dash in your G&T? Angostura, the brand that most of us know, is good stuff, but do branch out and try other, distinctive smaller-batch bitters, such as the extraordinary range made by The Bitter Truth.